A rare pair of North Italian 18th century bureau-cabinets. Photo: Bonhams. 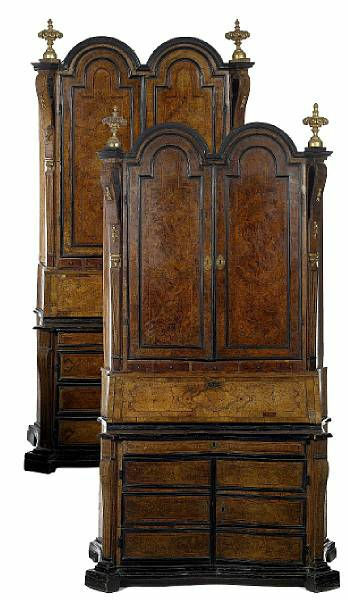 LONDON.- A pair of rare North Italian 18th century bureau-cabinets from Palazzo Costaguti on Piazza Mattei in Rome are to be sold as part of the Fine Continental Furniture, Sculpture and Works of Art sale on 7 July 2010. These fine examples of bureau-cabinets have been veneered in burr walnut and highlighted with parcel-gilt carved elements. 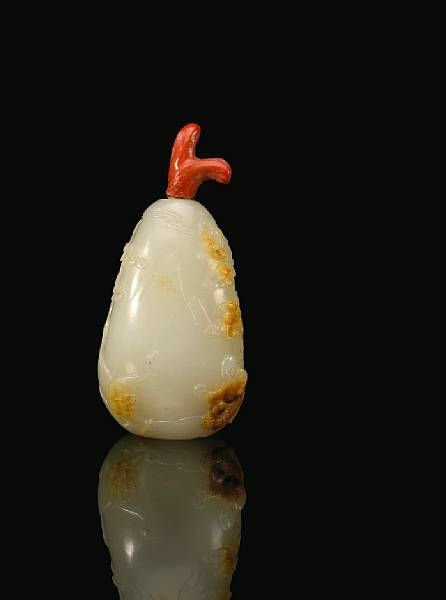 They have attracted a pre-sale estimate of £50,000 – 70,000. Palazzo Costaguti starred in Anthony Minghella’s 1999 film, The Talented Mr Ripley, as the building that housed Ripley’s (Matt Damon) apartment. A rare pair of North Italian second-quarter 18th century parcel-gilt, walnut, burr-walnut, olivewood, ebonised and parquetry double-domed bureau-cabinets. 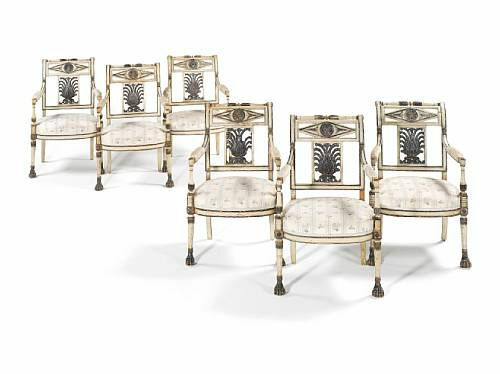 Photo: Bonhams. 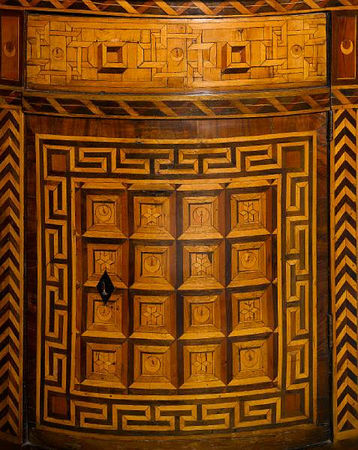 Provenance: From the Palazzo Costaguti, Piazza Mattei, Rome. Built in the first half of the 16th century, the Palazzo Costaguti belonged to Constantino Patrizi, treasurer to Pope Paul III. Upon his death in 1578, the palace was sold to Ascanio and Propero Costaguti who commissioned the architect Carlo Lambardi to carry out renovations. The Costaguti counted amongst them two important Cardinals: Vincenzo (1611-1660) and his half-brother Giovanni Battista (1636-1708), who were the bankers to Pope Urban VIII Barberini and then subsequently to Innocent X Pamphilj. 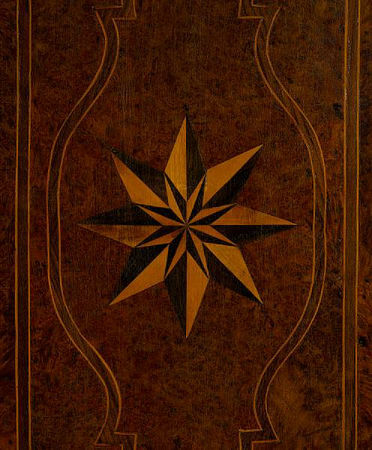 Both Vincenzo and Giovanni Battista were patrons to the many artists who worked on the decoration of their palace and who went on to produce works for the Basilica of Saint Peter's. The palace is of particular interest for the decoration of the suite of rooms on the piano nobile with work carried out by some of the most significant artists active in Rome at the end of the 16th and beginning of the 17th centuries, such as Francesco Albani, Domenichino, Pomarancio, Pierfrancesco Mola, Nicolas Poussin, Gaspar Dughet, Giovanni Lanfranco, Agostino Tassi and the Cavalier d'Arpino. 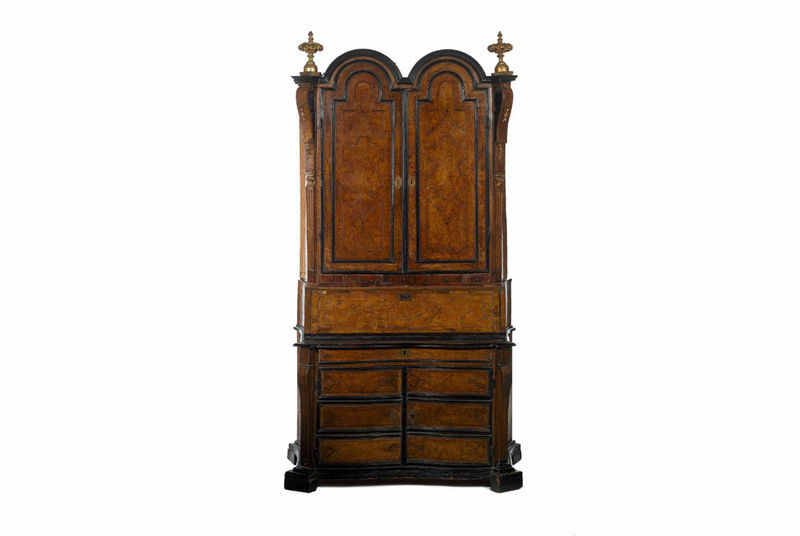 Deriving its form from the Anglo-Dutch repertory, the bureau-cabinet very soon became the most important piece of furniture in the palaces of the ancient Venetian aristocracy and the rich merchants. Although they were meant to cut a bellafigura on the best wall of a salon, these pieces were supposed to be functional too. 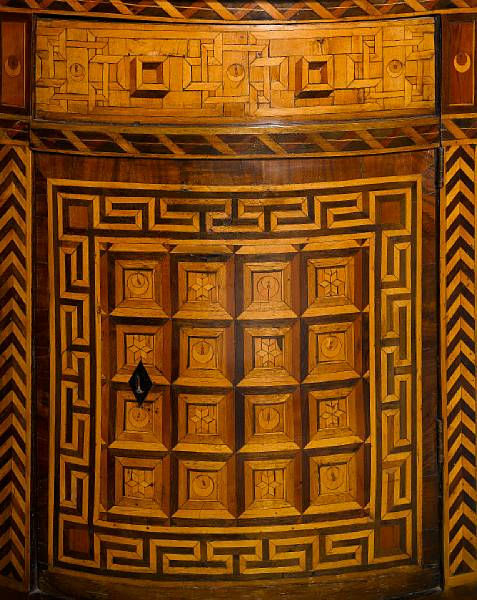 While the bureaux cabinets commissioned for the suburban villas were often lacquered or decorated in arte povera to simulate lacquer, the finest examples which are found in the most important palaces were veneered in burr walnut which was highlighted with parcel-gilt carved elements and sometimes engraved mirrors. 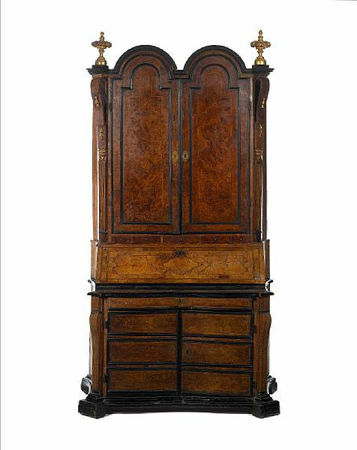 Sometimes these bureaux-cabinets have cupboards on each side, making their size quite monumental. 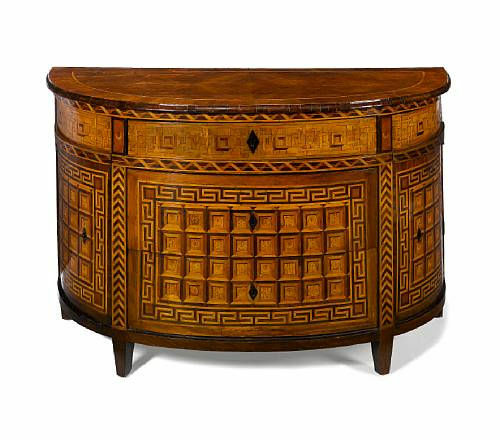 Unfortunately, due to a lack of documentary evidence, very few names of cabinet-makers, carvers and gilders survive to enable an attribution to a particular maker to be made. 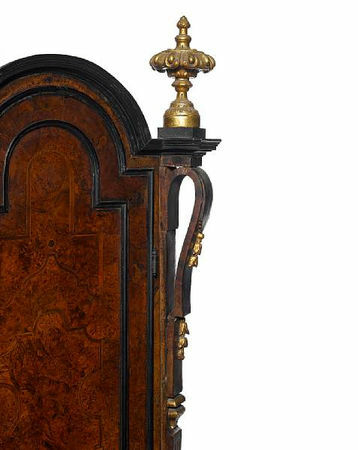 Highlights also include a French 18th century Louis XIV red velvet rest from Château Hérivaux in Luzarches, France, expected to fetch £20,000 – 30,000; a Piedmontese 18th century commode, which furnished Kensington Palace when lived in by the late Prince George, Duke of Kent, estimated at £20,000 – 30,000; and a set of six North Italian 19th century chairs from the Schloss Derneburg monastery in Germany, which was acquired by artist Georg Baselitz in 1975, estimated at £10,000 – 15,000. 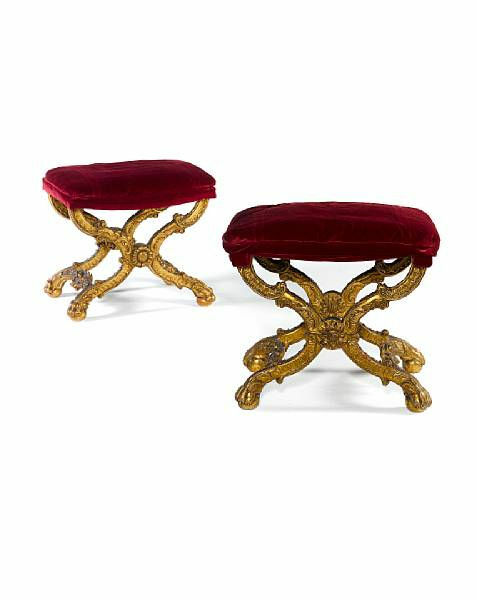 A French 18th century Louis XIV gilt walnut tabouret pliant. 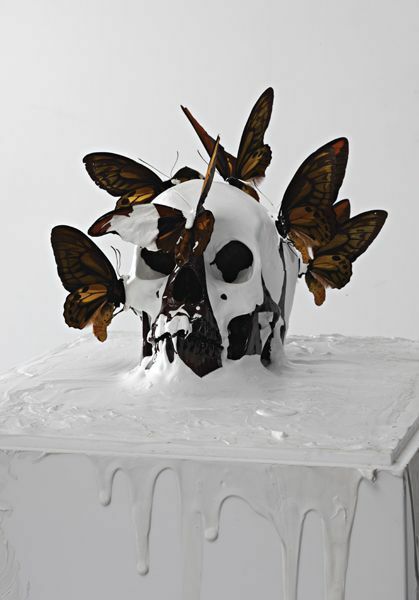 Photo: Bonhams. 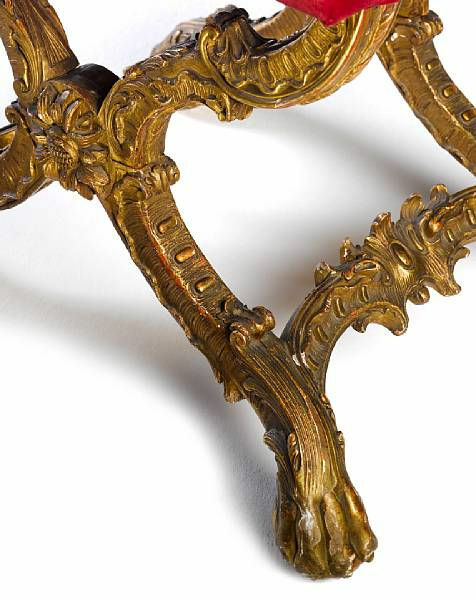 Provenance: Château Hérivaux, Luzarches, France. 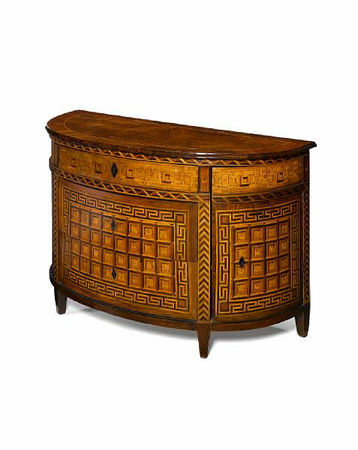 A Fine Piedmontese 18th century walnut and fruitwood marquetry demi-lune commode. Photo: Bonhams. 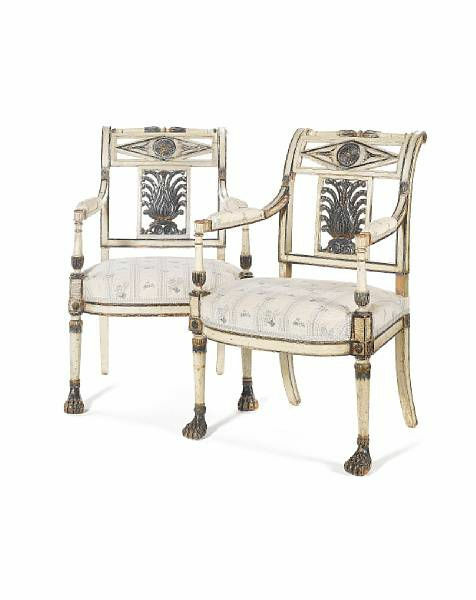 A set of six North Italian early 19th century Directoire white painted chairs. Photo: Bonhams. Provenance: Schloss Derneburg Castle, Germany. A turtleshell and brass boulle marquetry cartel clock, the dial signed by isaac thuret horloger du roi louis xiv, early 18th c.